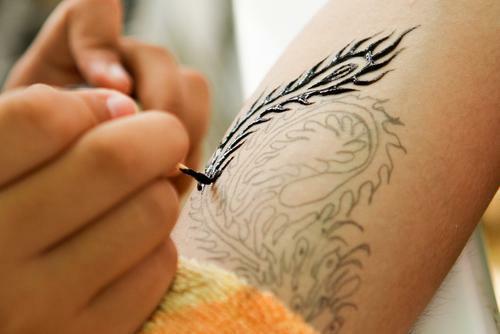 For people who have gotten tattoos, the intent was for the tattoo to be permanent. However, many people with tattoos, at some point in time, change their mind and no longer want the tattoo. In fact, surveys show that as many as 25% of people who have tattoos no longer want them. The problem is that tattoo removal can be very difficult. 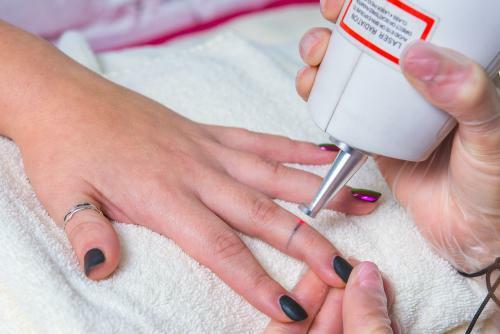 Fortunately, new laser tattoo removal technology has greatly improved the ability to remove tattoos of all sizes, locations and colors. But, not all laser tattoo removal is the same. In choosing a specialist to remove your tattoo, it is important to know the differences between the various types of laser tattoo removal. Lasers have been used to lighten and remove tattoos for many years. Over the years, the technology has evolved and improved greatly. Our bodies view tattoo ink as a foreign material and the immune system is constantly trying to remove it. However, the ink particles are too large for the immune system to remove completely. That is why older tattoos will appear faded compared to when they are new. But they will only fade to a certain point, at which the body alone cannot lighten them any further. That is where laser technology comes in. The laser energy smashes the ink particles and breaks them up into much smaller particles that the body is then able to remove. This process needs to be repeated over and over again, as each time the particles are broken down further. With the older lasers that are still widely used for tattoo removal, such as the Q-switched lasers, it is not uncommon for 20 or more treatments to be required to reach the desired agree of removal or lightening of a tattoo. That process could take years, as well as significant cost and discomfort to complete. However, new picosecond laser technology has now greatly improved that process. Most tattoos can be treated in roughly half of the number of treatments that are needed with the older lasers. At Shore Vascular & Vein Center we offer the latest enlighten picosecond laser for tattoo removal. Enlighten combines multiple laser wavelengths with the most advanced picosecond technology. What that means in plain English is that it allows for removal of most tattoos in 40% fewer treatments than with older lasers. That means less time needed to obtain a complete result, less pain, and lower cost than with other lasers. The other advantage to the enlighten laser is that it can be safely and effectively used on tattoos of many different colors on all skin types, even very dark skin. Shore Vascular & Vein Center is a leading center for laser tattoo removal serving Atlantic County, Cape May County, Cumberland County , Ocean County, Camden County and the surrounding areas in Southern New Jersey. Our Board Certified surgeon, Dr. Jeffrey Gosin, personally performs all treatments himself. He has years of experience using multiple lasers to treat a variety of conditions. Call (609) 927-VEIN (8346) for a consultation or visit us on the web at EndTattooRegret.com. Schedule an appointment for a FREE initial consultationand learn how to end YOUR tattoo regret.